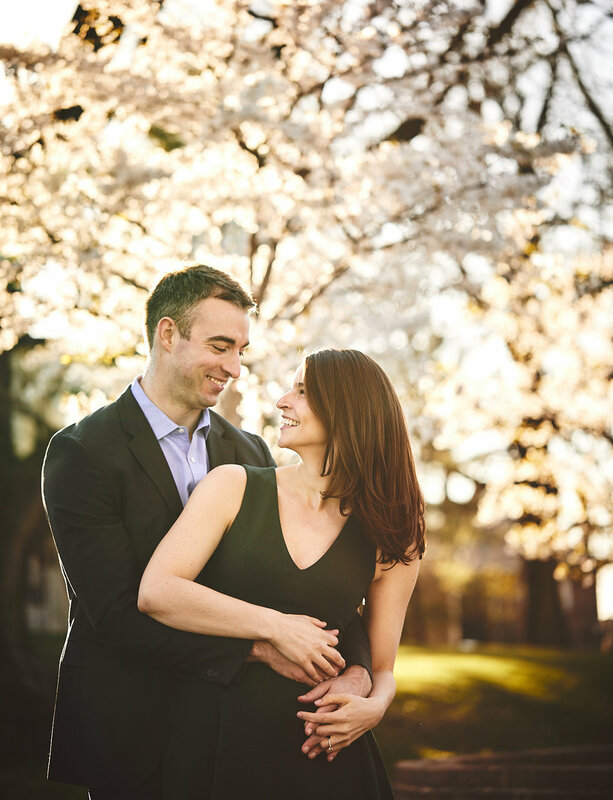 Spring is finally here and just in time for Katie & Andrew's Hoboken engagement session. 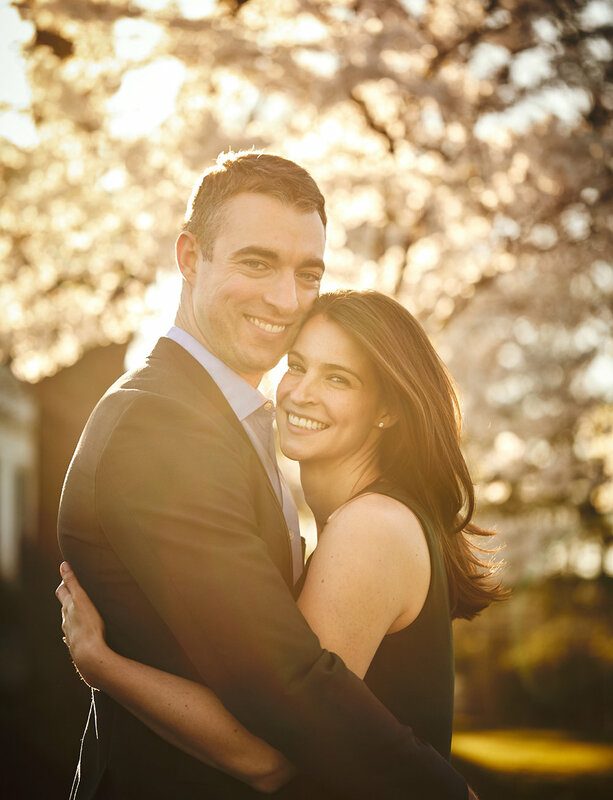 After months of freezing weather it finally warmed up and the sun came out for a glowing engagement session. 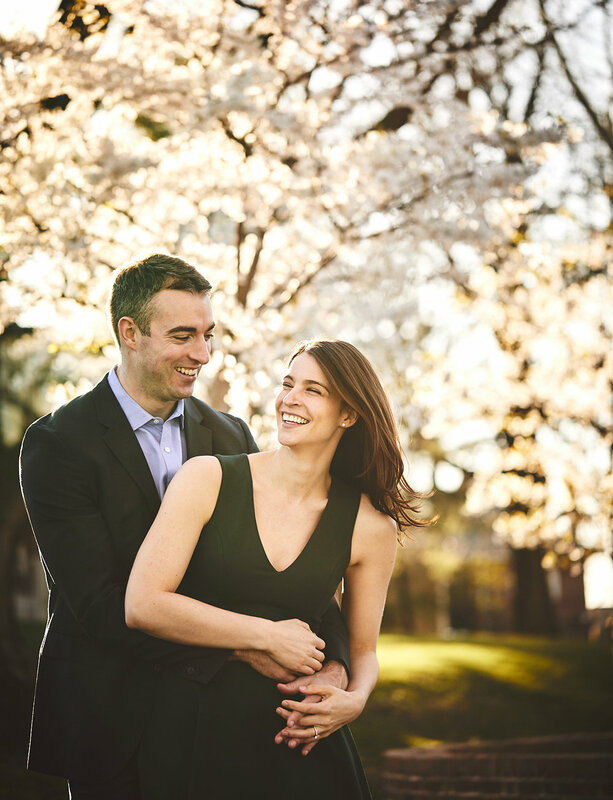 I met Katie & Andrew in Hoboken, where they call home and many of their favorite places. 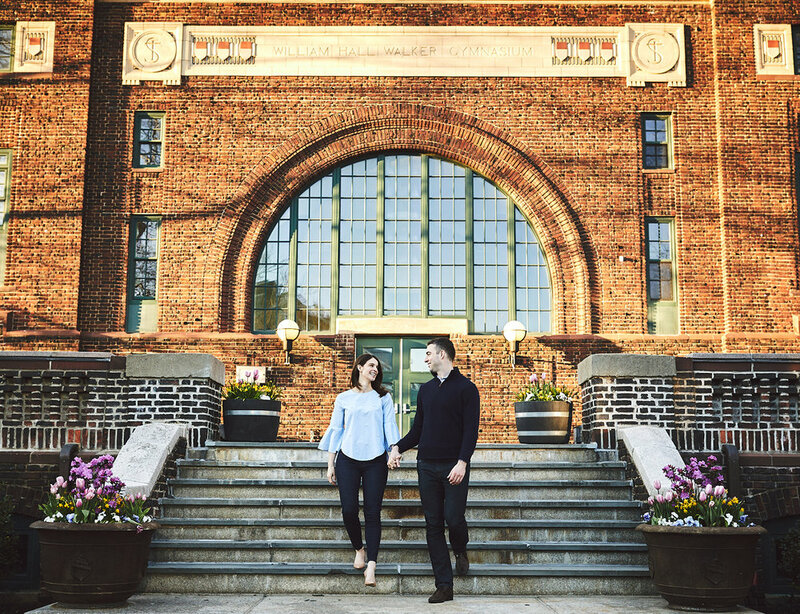 We visited the Hoboken Terminal which was unusually quiet and incredibly beautiful in the afternoon sunlight. 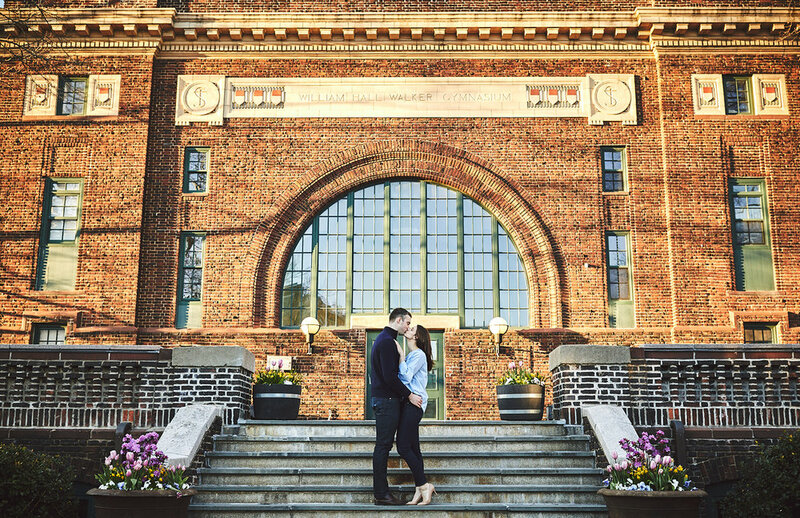 Next we visited the waterfront and Steven's Institute of Technology where Andrew attended college to take advantage of the city views and beautiful backdrops everywhere. We met at a bar called Home Sweet Home in November of 2013. I was dressed up for Halloween for a friends birthday party, Andy wasn’t. I walked up to Andy and asked him to dance because he was one of the tallest (and most handsome) guys there. We ended up going on our first real date a couple days later and have been together since. I had a feeling he was going to propose in Lake Placid because it was our 4 year anniversary and he was very adamant about going away for the weekend. I was very busy at work leading up to the weekend, so when he did proposal on Friday night before dinner I was so caught off guard. It was the perfect surprise! 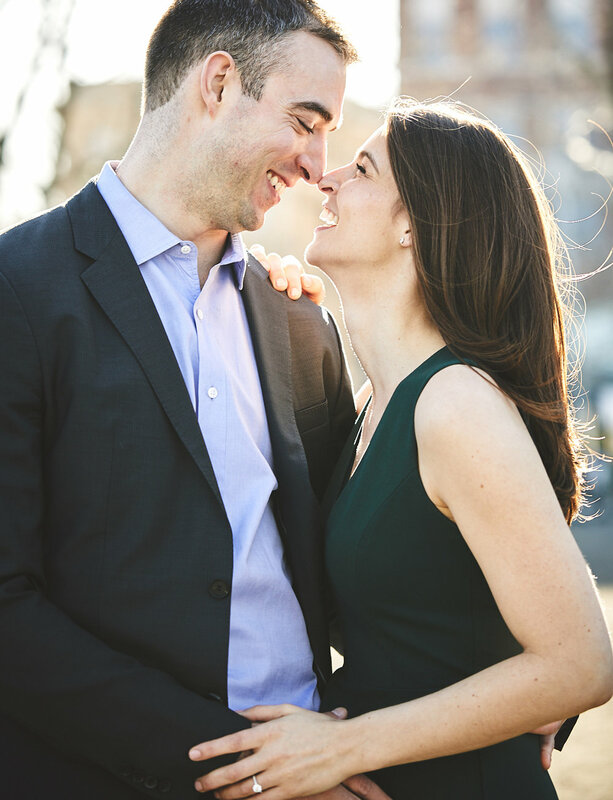 From Andrew: We first met in a lower east side bar. Katie approached me because I was tall. 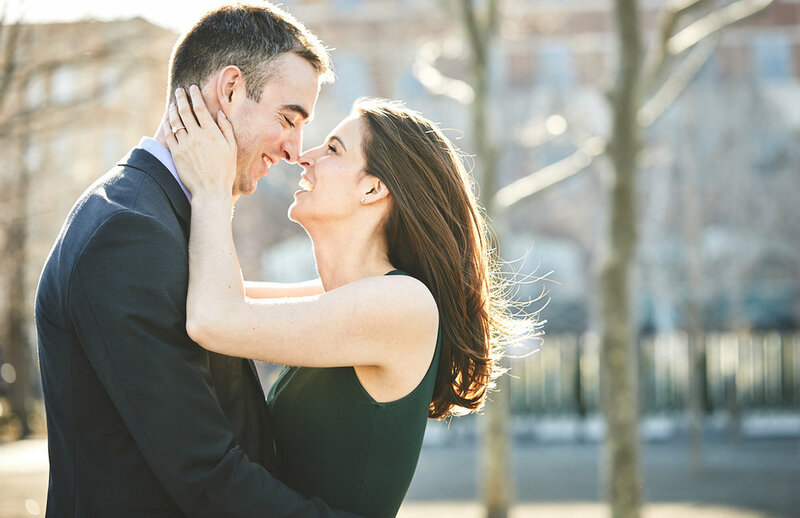 I texted her the next day and asked her out to dinner at a wine bar in Murray Hill. I proposed in Lake Placid NY. As most guys, I was extremely nervous, but it worked out. Katie says she had an idea it was coming, but I think she was very surprised. We’re looking forward to officially being married and celebrating with all our family and friends. 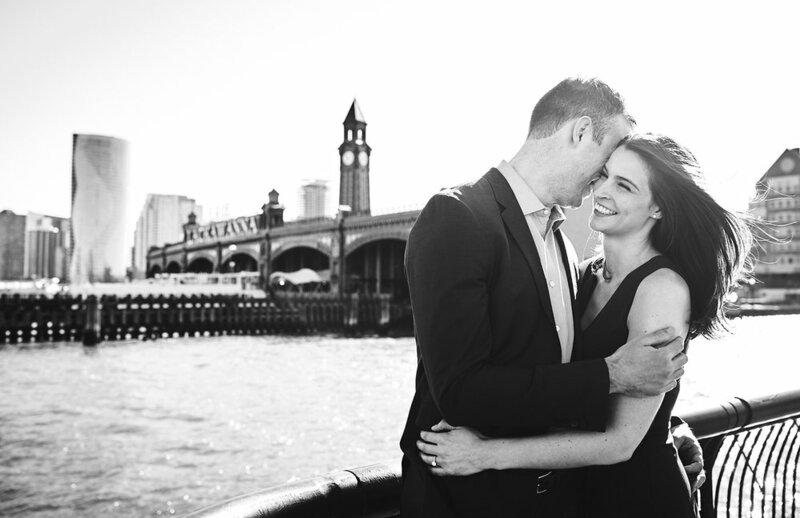 We want to make the day ours and include some personal touches that make us who we are as a couple.